RLS Awareness Day 2017 was one of our most successful awareness campaigns yet. Hundreds of you donated, shared your RLS stories with us and your communities, and echoed to others that they are not alone. Not to mention that we made our $25K "Challenge for the Cure" match! Some well-deserved thanks are in order for RLS Foundation member Susanne Campbell, who secured the RLS Foundation free ad space in the Chapman University Celebrates Opening Night program. Additionally, RLS Foundation volunteer contact M. Lynn McCracken was able to get a piece about RLS Awareness Day into her local newspaper, while volunteer Support Group Leader Susan Schlichting wrote a guest blog post about her experiences with SIBO and RLS. Countless others posted on social media (special shout out to Mary Stompe who posted a video about #MyRLS story) or took the initiative to discuss with loved ones the importance of spreading RLS awareness and how it affects quality of life. "[I] posted your [Awareness Day] message on my Facebook account. An old friend I'd not talked to in years message me. We discussed medications, non-medication solutions, and I pointed her to rls.org, the webinars and discussion boards." - Joanie E.
"I posted the RLS 25th Anniversary symbol as my Facebook profile picture, briefly described the condition and how it affects me and others, and provided a link to the rls.org site for more information. [I] also read my NightWalkers Summer 2017 issue from cover-to-cover, and plan to share it with friends who are interested in learning more per my Facebook post. Last but not least, I donated to the RLS Matching Challenge and plan to double the contribution via my workplace matching program." - Martin S.
I changed my profile picture on Facebook, shared [an RLS] PSA on Facebook, and subscribed to the [RLS Foundation's] YouTube channel. Thank you for all of the work you do. - Becky S.
Awareness leads to greater support from the medical community, increased RLS research, and the momentum we need to find a cure for RLS. Together, small actions to spread awareness strengthen our impact as a community. There's still so much work to be done, but you brought us closer to the momentum we need. On behalf of all of us at the RLS Foundation and the RLS community, we thank you! I know you'll connect with this rhyme. I say the darn thing's a crime. She never knew what was wrong. And started taking their licks. My legs are the size of toothpicks. That stuff can really be cruel. That day he played hookey from school. I just couldn't conquer my foe. In case I get an attack. I'm the only one standing in back. Said, “Put this at the top of your list. Said I don't have to guess. But I'm winning the fight. I'm always on my feet. Or read or even eat. Are now a wider C.
Down from six feet three. She hates when my leg starts to flop. Or making us skid to a stop. Then I walk, but not very far. While she sits locked in the car. Telling the airlines my affliction. But it failed to win their conviction. To handle the exit row work. To capture that exit row perk. But that seat belt sign is lit. My cell is where I sit. And take off my shoe. I could stand for a while in there. Is now fast asleep in his chair. I'd be rarin' to get up and go. That permits me to fly SRO! On Saturday, September 23, the RLS Foundation will join communities across the globe to celebrate RLS Awareness Day 2017. Held on the birth date of Professor Karl-Axel Ekbom, the Swedish neurologist who first described restless legs syndrome in 1945, Awareness Day is an opportunity to share key information about RLS with your network. Please join us by taking just one step in the following list – or through an activity of your own. Together, we can make a difference and help build a more supportive world for families affected by RLS! Take a selfie or make a short video clip with your own RLS awareness message. Post it on Facebook, Twitter, YouTube or Instagram – and ask your kids, grandkids and friends to do the same! Use the hashtag #MyRLS so we can hear your stories! The first 10 people to post a selfie, tag us and use #MyRLS will receive a FREE T-shirt! Write a letter to the editor of your local newspaper or TV station about your experience with RLS. RLS afflicts 7-8 percent of the global population, and your story will give a personal window into this often misunderstood disease! You can also be a guest blogger for the RLS Foundation – email us to learn more! Subscribe to our YouTube channel and show your support! Share the videos with your local newspaper, radio and TV media to spread the word about #RLSAwarenessDay2017! Whether an RLS Foundation T-shirt, an RLS magnet on your car, or a hand-written “RLS Awareness Day” sign, you can catch eyes and start conversations about RLS Awareness Day! Visit our shop for more ideas and to take advantage of a 25 percent discount! Share copies of Nightwalkers at your local library, doctor’s office, place of worship or other community gathering place! Want to request a free copy? Send us an email and we'll send you one! Ask a friend or family member to join you in watching an RLS Foundation webinar! Check out the free webinars available on our YouTube channel. Make the RLS Awareness Day 2017 image your Facebook profile picture! Click our Facebook profile pic to make it your own! Become an RLS Foundation volunteer! Learn more by visiting our website. Give the gift of membership! Our "Pay It Forward" initiative helps us provide RLS Foundation scholarship memberships to individuals in financial need. Tell us what you did for RLS Awareness Day! Do certain foods seem to trigger your RLS? Or, when you experience bloating or abdominal fullness, do these conditions seem to exacerbate your RLS? If so, read on. I finally made the connection between my restless legs and many years of (undiagnosed) Irritable Bowel Syndrome (IBS). I heard from Caroline Chamales, the RLS Foundation support group leader in San Diego, that Dr. Leonard Weinstock, a gastroenterologist at Washington University in St. Louis, was collaborating with Dr. Arthur Walters, a well-known RLS expert, Professor of Neurology at Vanderbilt and an active member of the Foundation's Scientific and Medical Advisory Board, to study the relationship between a gut infection that causes IBS-like symptoms and RLS. I jumped at the chance to learn more. I went to my local gastroenterologist and insisted that I get tested for a gastrointestinal infection, called SIBO, which stands for Small Intestine Bacterial Overgrowth. To get a better footing on the subject, my gastroenterologist (GI doctor) suggested that I read the book, A New IBS Solution by Dr Mark Pimentel, Director of the GI Motility Program at Cedars Sinai Hospital in Los Angeles. Dr. Pimentel has devoted his career to studying IBS and is responsible for developing a breath test that diagnoses bacterial overgrowth in the small intestine that causes distress. In St. Louis, Dr. Weinstock’s practice actually includes an RLS Clinic where he treats patients with the two diagnoses. Because Dr. Weinstock’s clinic is in Missouri and I live in the vicinity of Cedars Sinai, I chose to get treatment locally. I took the breath test, was diagnosed with SIBO and treated with an antibiotic used to treat IBS, travelers’ diarrhea and hepatic encephalopathy called Rifaximen. And, in what seemed like a miracle, into the second week after taking the full course of the antibiotic, my RLS improved significantly. My nighttime RLS disappeared! However, a potential complication is that people who have been diagnosed with SIBO frequently relapse. After the bacteria is killed, there is a healing period that is required. Because this is still considered a gray area of medicine, there is no standard regimen that has been embraced yet by mainstream medical providers. I wish that I could close with a happy ending. I too have suffered a relapse filled with sleepless nights, difficulty swallowing, reflux, food intolerances and leg pain which at times triggers a full-blown attack of RLS. The journey has been no walk in the park, but I do harbor the hope that there is a rainbow somewhere in my not-so-distant future. During the six years that I have suffered from both SIBO and nightly RLS, I had been diagnosed with osteopenia and nutritional deficiencies including Vitamin B12, and my ferritin was on the borderline reading of 50. Some have postulated that the overgrowth of bacteria in the small intestine causes malabsorption of nutrients. The bacteria were literally eating my lunch! One takeaway from my experience is that the Low FODMAP diet, developed by the Monash University in Australia, helped with my symptoms as well as with my RLS. FODMAP stands for fermentable oligosaccharides, disaccharides, monosaccharides, and polyols. In simpler terms, FODMAPs are carbohydrates (sugars) that are found in foods. However, not all carbohydrates are considered FODMAPs. Once diagnosed with IBS by your gastroenterologist, you can discuss if the FODMAP diet is an appropriate nutritional therapy for management of your IBS. Current research suggests the FODMAP diet reduces symptoms of IBS. A majority of individuals with IBS also have SIBO, a major contributing factor to the development of IBS. If you have been diagnosed with IBS and think that you may have SIBO, seek the professional opinion of a gastroenterologist for further evaluation. Susan is the RLS Foundation's support group leader in Southern California. The RLS Foundation has awarded a $144,000 grant to John Winkelman, MD, PhD, of Harvard Medical School, for a pilot study on the use of opioids to treat RLS. The two-year project is part of broader research to establish the long-term safety and effectiveness of opioids for treating the disease. “This opioid registry is long overdue. It is important to establish the long-term safety and effectiveness of opioid treatment in RLS in order to distinguish it from the current literature on opioids in chronic pain,” says Christopher J. Earley, MB, BCh, PhD, FRCPI, who is chair of the RLS Foundation Scientific and Medical Advisory Board. Opioid use to treat RLS has increased over the past decade as other drugs have fallen short of meeting the needs of patients. Notably, dopamine drugs, which initially may relieve RLS symptoms, are now known to make symptoms worse over time for many people – a side effect called augmentation. For many RLS patients, opioids are a beneficial alternative. Existing studies show that taking them at low doses can bring dramatic relief of RLS symptoms with minimal side effects. The research also aims to address concerns in the US about using opioids to treat long-term conditions like RLS. In the midst of the nationwide opioid crisis, providers who prescribe them are under increased scrutiny, and many states have stepped up regulation. “The concern is that some states may be so aggressive in their control of opiates that they restrict access to opiates for people who genuinely need them and are using them appropriately,” says Dr. Winkelman. By disseminating and publishing their study results, the researchers hope to provide information for policy makers to form reasoned, scientific decisions about the use of opioid medications for RLS. For Dr. Winkelman, this current research continues his long involvement in the field of RLS, which he says began early in his sleep medicine career when he started seeing patients with the disorder. John W. Winkelman, MD, PhD, is an associate professor of psychiatry at Harvard Medical School and director of the RLS Quality Care Center at Massachusetts General Hospital. 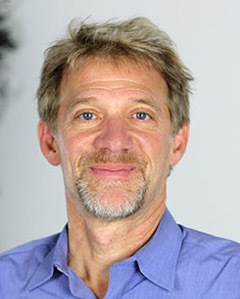 He has served on the RLS Foundation Medical Advisory Board (now the Scientific and Medical Advisory Board) since 2000, and on the Executive Committee of the International Restless Legs Syndrome Study Group. He is also chair of the Treatment Guideline Committee for the treatment of RLS at the American Academy of Neurology. Dr. Winkelman’s research interests include sleep-related movement disorders, insomnia and parasomnias. He is a leading expert on RLS, has published several textbooks, and has authored over 100 articles in sleep medicine. Notably for RLS, he published seminal work on cardiovascular disease and on end-stage renal disease, and he was lead author on the American pivotal trial of pramipexole to treat RLS. Recruitment for the study “Multicenter Longitudinal Pilot Observational Study of Efficacy and Tolerability of Long-Term Treatment of Restless Legs Syndrome Using Opioids” is expected to begin in late 2017. Participants will have an initial 30- to 60-minute phone interview with a clinical research team at Massachusetts General Hospital, after which they will provide information through surveys on a secure website hosted at Massachusetts General. Information will be de-identified to protect privacy. Participants will receive an annual summary of their data, as well as a yearly newsletter summarizing all study data. If you are interested in participating in the study, watch for more information on the RLS Foundation website at www.rls.org.